The Perlman Teaching Museum aims to engage, educate, and uplift through art and exhibitions. Exhibitions and projects linked to the curriculum. 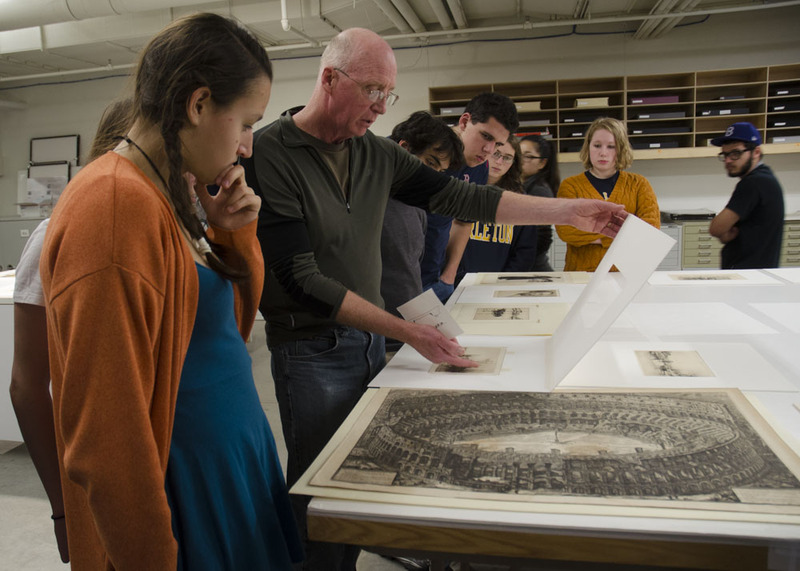 While “curating” was once restricted to a select group of museum professionals, the Teaching Museum, and its close partner Gould Library, is open to many partners, and invites faculty, students and others to collaborate on exhibitions and experimental object-based projects. 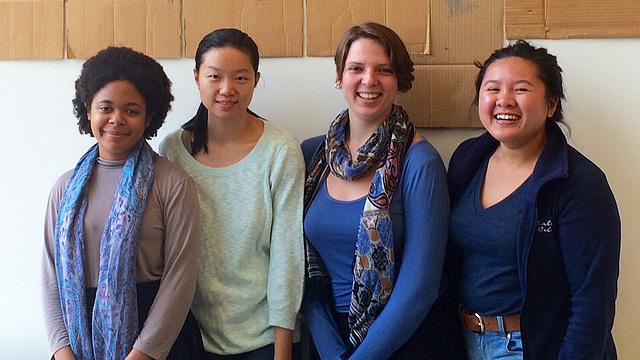 Learn more about the Carleton Exhibitions Program. To discuss exhibition possibilities, contact Jeff Rathermel, Perlman Teaching Museum Director and Curator or Zoe Adler, Curator of Library Art and Exhibitions. The Carleton Art Collection, spanning centuries and drawn from around the globe, comprises nearly 3000 artifacts in various fine and applied art media. Beautiful and well-made objects are embodiments of technique and reservoirs of cultural meaning. Collection objects are available for study and enjoyment through occasional exhibitions, displays in Gould Library, selections on the Museum website, and in the Museum Classroom and Art Collection Storage by appointment. To make an appointment to view objects in the collection, and to reserve the Museum Classroom, contact Teresa Lenzen, Technical Director. Students are invited to contribute to the Museum through curatorial seminars, special projects, student work assignments, and an annual internship. Students gain hands-on practical skills and broad exposure to the museum profession. Engaging the curatorial process is valuable even for students not headed for a museum career; curating today is a vital format for writing and critical thinking. Contact Jeff Rathermel, Director and Curator to discuss opportunities. The Perlman Teaching Museum offers one on-campus internship. The intern works 8-10 hours a week under the supervision of the Director and Curator, and with the museum’s Technical Director. The internship is structured so that the student gains experience and insight into various aspects of museum work, including curatorial, registration and collection care, and outreach/community programs. This position is paid, and set within a framework of goal-setting and evaluation. Students must be available to work most of their weekly allotment during regular office hours, and must be in residence all three terms. The internship is open to juniors and seniors from all majors, with preference for those aiming at a museum career. Applications are considered during Spring term of the year prior to the internship. Contact Jeff Rathermel, Museum Director and Curator, for more information.